If you think bias no longer exists in the workplace, think again: nearly 90,000 private-sector discrimination charges were reported to the U.S. Equal Employment Opportunity Commission in fiscal year 2014 alone. Allowing bias to be part of how you hire doesn’t just put your company at risk of lawsuit; it also compromises the diversity of your staff — a serious detriment in the 21st century global marketplace. Here’s what you need to know to help your human resources team minimize bias and maximize successful hiring practices. First impressions matter, but not necessarily for the reasons you may think. Rather than guiding recruiters to the right candidate, first impressions are often a costly misdirect. Why? Because first impressions do little to predict job performance. Still, avoiding bias is easier said than done when most split-second impressions are subconscious. One way to avoid this pitfall? Reserve all judgments about whether a candidate is or isn’t right for the job until after the interview is completed. 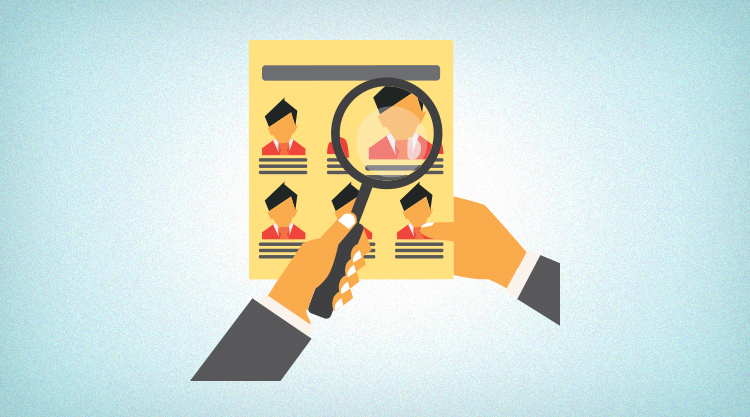 Instead, focus on collecting the facts and assessing each job applicant’s skills and experience. This fosters evidence-based — as opposed to emotions-based — hiring decisions. By waiting to formulate your opinion, you avoid arbitrarily eliminating a worthy candidate — also known as the “horns effect.” Doing so also helps prevent the “halo effect,” in which positive impressions are based on likability, not potential work performance. Be sure to take thorough notes throughout the interview. This documentation not only comes in handy when assessing applicant qualifications following the interview, but also can be a protective measure if any questions arise. Many job seekers would agree that the interview process is somewhere between a trip to the dentist and cleaning the toilet on the list of life’s least pleasant activities. The more at ease candidates feel during the interview, the more likely they are to let down their guard and be authentic. Encouraging a two-way dialog not only helps you connect with the candidate in a more meaningful way, but also supersedes any potential biases. Asking the same questions in every interview, meanwhile, is also a useful way to objectively compare candidates. While you may not be able to avoid bias during the interview process, you can avoid letting it affect your hiring decisions through a few simple, systematic preventative measures. And don’t forget: bias can also influence a candidate’s impression of you and your company. To learn more about the importance of brand consistency and how it can help you reach the best talent, visit WittyParrot. Watch our short 3-min video to understand what WittyParrot can do for you.